If you love to get out on the open road, a recreational vehicle (RV) is one of the most comfortable ways to travel long distances. But owning an RV might not be the most practical investment, so what do you do? Renting an RV is a great alternative to owning and still give you all the benefits without the long-term commitment. While we are fortunate to live in a world where travel has been made easy through planes, trains, and automobiles, every mode of transportation has its pros and cons. Anyone looking to take a family vacation knows how expensive airfare can be. Along with the expenses of flying one must consider the effort it takes to make sure you arrive at the airport at an appropriate time just to find that you might be waiting at your terminal for a few hours. Trains and cars seem like a good alternative, but don’t provide all the space that travelers may need and want. With RV travel, you get the freedom and space that everyone dreams of on a road trip. Whether you are towing with your luggage stored in the RV or interested in a drivable RV, you and your passengers will have ample space to move around. This mode of getting from point A to point B allows for several stops in between whether it is for educational or recreational purposes. RVs are also wonderful options in terms of saving money versus airfare or the damage that mileage can cause on your car. Active adults who to choose to travel via RV enjoy time spent in the great outdoors away from everyday life. Whether you are traveling alone, with a partner, or family, RV transportation allows for ample time spent with the company you have. 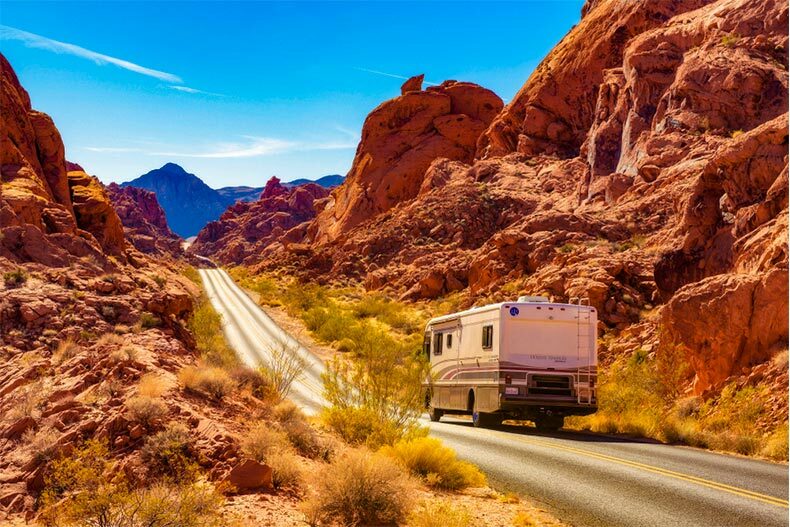 What Kind of RV Should You Rent? There are several RV types to consider depending on your trip and how many people are coming along. There are many different models of RVs out there, built for all types of families and styles of travel. It is important to decide which model is best for your needs rather than going into an RV dealer blind. Class A Motorhome: This type is the largest of the motorhome family. It has more room than other RVs, making the space more like a livable home. Keep in mind that with its roomy accommodations comes a bigger rig that is more difficult to drive. Class B Motorhome: This campervan is easy to drive and includes sleeping quarters, bathroom, and refrigerator. This compact option is best for those making a trip with only one or two passengers. Class C Cabover: This RV has a van cab with an attached motorhome. Typically have a bedroom, bathroom, and kitchen that can be converted into sleeping quarters. Not as big as other classes of RVs, the Class C Cabover can comfortably accommodate five people and is fairly easy to manage. Fifth Wheel Camper: This pull-behind RV requires a fifth wheel hitch that is mounted in the bed of your truck. Fifth wheel campers have two full-sized beds and bunks, and also offer a kitchen, bathroom, and dinette. Towable Travel Trailer: This RV is one that you tow behind your truck, as opposed to driving. These trailers have kitchens, bathrooms, and sleeping areas typically fit for four or five people. Planning ahead of time is the key to any trip, but that’s especially true with an RV road trip. Consider the miles you will be driving and how much money you should set aside for fuel. On average, most RVs get 8-to-10 miles per gallon so fuel costs may be a large part of your budget. As with any vacation, make sure you plan for meals and attractions you may visit along the way. As with most things, daily rates will vary depending on where you are renting from and how big the vehicle is. Some companies may also charge a fee per mile, this is another cost aspect to consider when planning out your trip. Most rental companies will ask for a security deposit upon making the reservation or when you pick up the vehicle. This type of deposit is refundable after returning the RV as long as it is in the same condition in which you received it. Some rental companies offer insurance themselves, (which might result in an additional fee). If they do not, you must check with your car insurance company to make sure you are covered while driving. 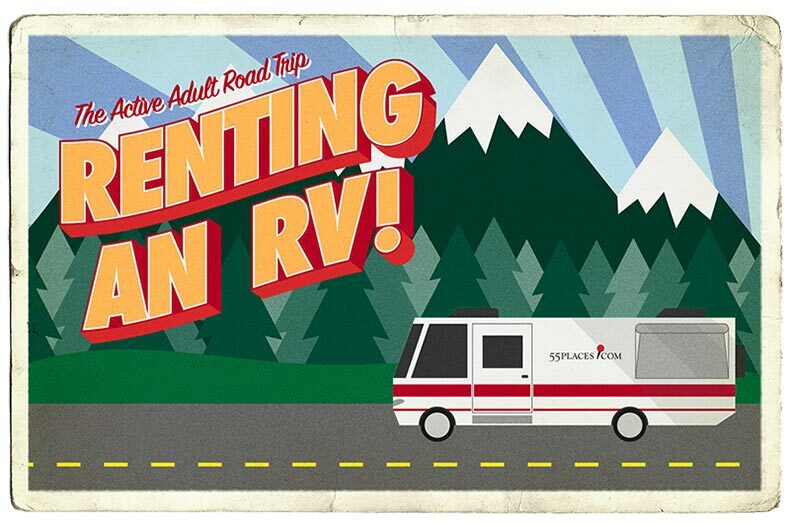 Where Can You Rent an RV From? Although there are various small rental facilities around the country, those who hope to find information online can use several different resources. Outdoorsy.com is a reputable rental service that includes up to $1 million in insurance for approved bookings. They also offer 24/7 roadside assistance and run DMV checks on all drivers. Outdoorsy has a wide range of rentals, from large, luxurious RVs to camper attachments that can fit on top of a minivan. RVshare.com is another good resource for those looking for a variety of options. This service offers pet-friendly RVs and instantly bookable rigs. You can search for an RV by class type and find the one that best suits your budget and needs. RVshare also offers an insurance plan while roadside assistance is included with every rental. If you want to explore more options for RV rental services, you can visit KOA.com to search for rental dealers throughout the U.S. and Canada. Where Should You Take Your RV? There are camping and RV destinations all around the country that attract visitors. If you are wondering what your first stops should be, consider some of the many national parks or popular vacation destinations. Zion National Park is Utah’s first National Park known for its great camping sites and beautiful canyon views. Zion River Resort is an amenity-rich RV park practically around the corner from the park. Those who love the fresh mountain air will enjoy exploring Lassen National Park. This trail filled park is near Durango RV Resort in Red Bluff, California. This resort is ideally located near several different hiking destinations, providing its guests with an excellent outdoor experience. RV renters and owners hoping to take their vehicle south for the winter can enjoy Florida’s Key West Region at Bluewater Key Resort. This impressive park offers guests the opportunity to camp and relax right on the water. With a variety of camping sites, all types of RVs can find a spot at Bluewater Key Resort. For more options and information on where to take your RV, check some of the best camping sites for the RV lifestyle.